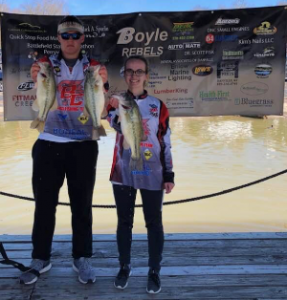 The Bath County Bass Fishing Team was on the waters of Lake Cumberland this past Saturday fishing the Boyle County Open. 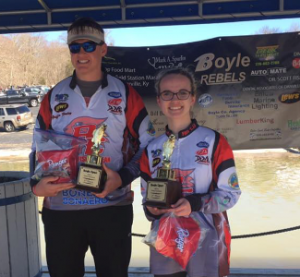 A total 91 Boats launched for the Tourney with Bath County Anglers Maycee Lyons and Griffin Fraley finishing 3rd overall with a total weight of 8.68 pounds. 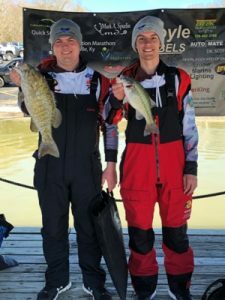 Spencer Pergrem and Jacob Conyers placed 14th with a total weight of 5.47 pounds. 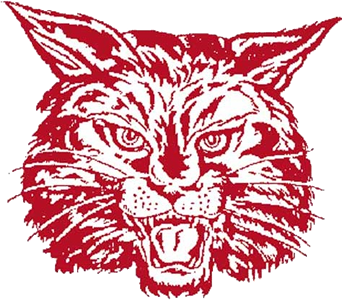 Conyers catch missed the Big Fish Award by just 4 ounces. 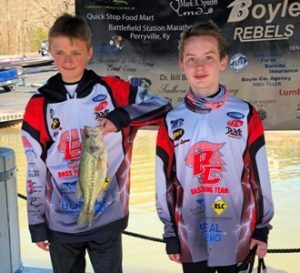 Carson Vice and Mason Lyons placed 29th with a total weight of 2.95 pounds.